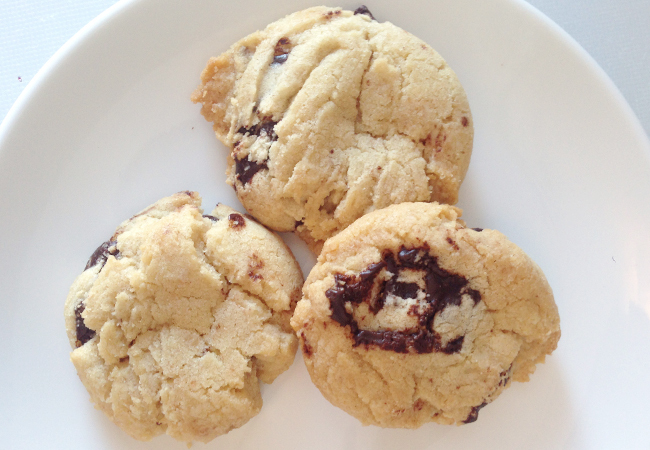 Salty and sweet are a match made in cookie heaven. (Bon Appetit knows its cookie recipes!) Sprinkle these perfect chocolate chippers with a little sea salt to achieve this delectable balance. 1. Place racks in upper and lower thirds of oven and preheat to 375 degrees. Whisk flour, baking powder, kosher salt, and baking soda in a medium bowl. Set aside.